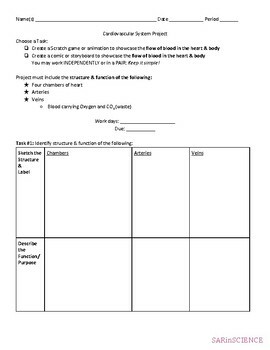 This project can be used in 5th grade- 8th grade science to study the cardiovascular system. Differentiation is embedded within the product of the project. Students can choose to use the drag & drop coding platform SCRATCH to create a game or animation or students can choose to create a physical storyboard or comic. 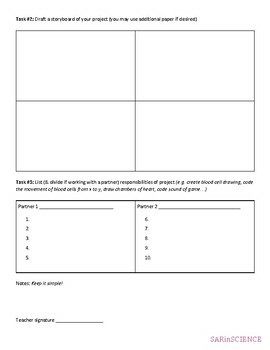 This project can also be used as a summative assessment. 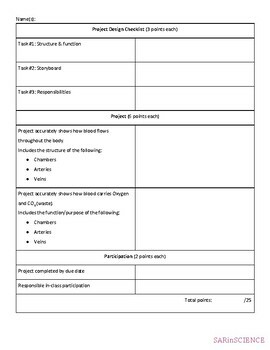 Rubric attached.